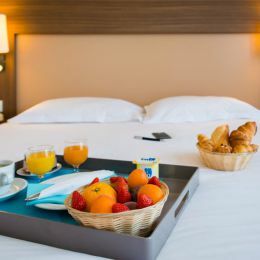 Christmas is a time for presents, snowy landscapes, delicious food, chocolate and to get together with you family and friends. 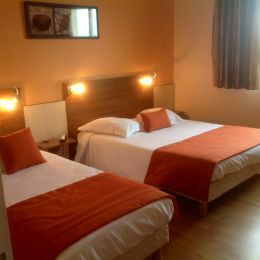 Don’t wait any longer and book your hotel to spend quality time with your loved ones around a good dinner or playing board games, just like in the good old days! 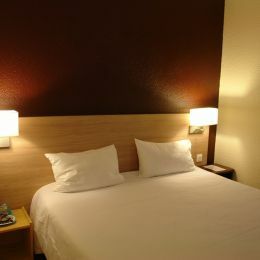 Start booking your trip to enjoy the holiday season to the fullest! 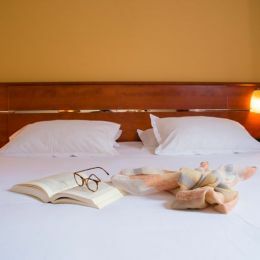 *Non-cancellable/Non-refundable offer, valid in hotels participating in the operation for a reservation from 21 December 2018 to 6 January 2019. 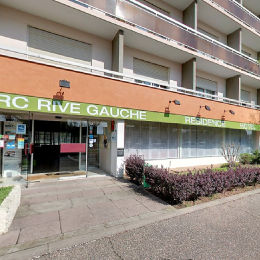 Our hotel is located just a 3 minute drive from the old port of La Rochelle. 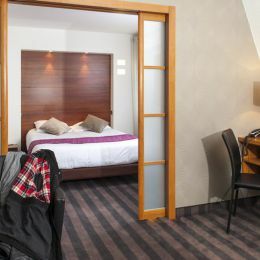 The Brit Hotel Hermes*** is located in Couchey, 7 km from Dijon. 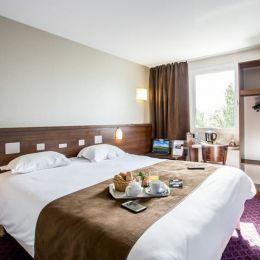 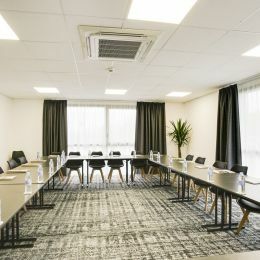 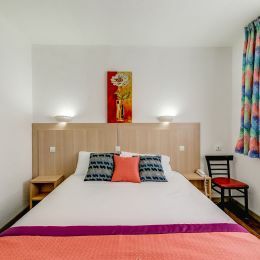 In the heart of the vineyards and close to Gevrey-Chambertin, the hotel offers 58 comfortable rooms, a heated outdoor swimming pool, a restaurant and several meeting/conference rooms. 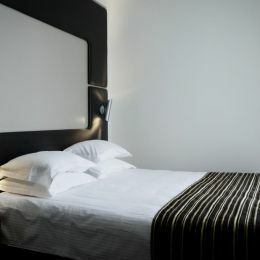 Our 52-room hotel with restaurant and wellness area welcomes you all year round in Bischwihr. 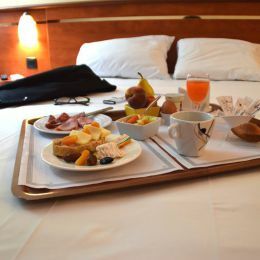 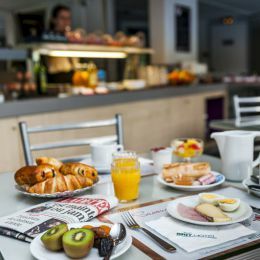 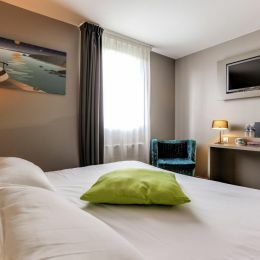 Located between the hospital and the Faculty of Medicine, the Brit Hotel Le Relais 2 Rivières has 56 comfortable and fully equipped rooms. 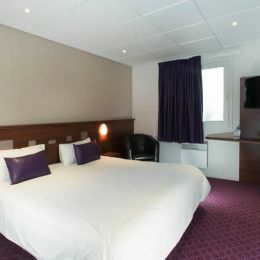 The Brit Hotel Le Galion in Binic has 40 comfortable rooms and two meeting/conference rooms. 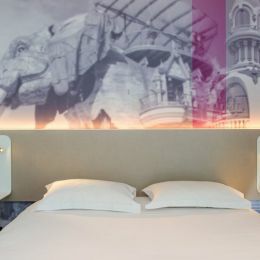 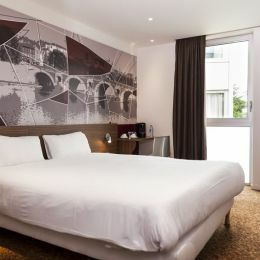 Discover the Brit Hotel Aux Sacres, a 3-star hotel ideally located in the city centre of Reims. 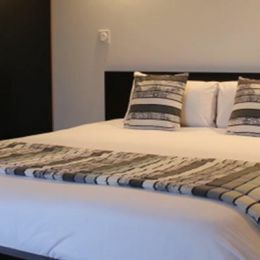 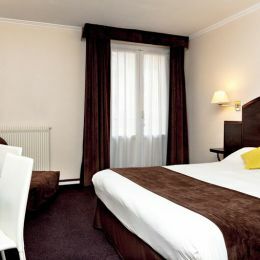 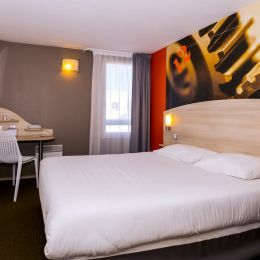 Book your room in our 39-room hotel located south of Grenoble. 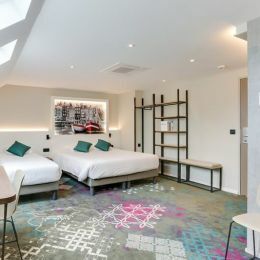 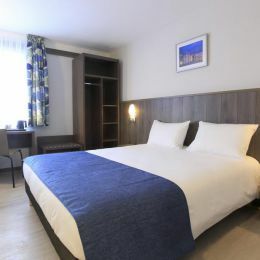 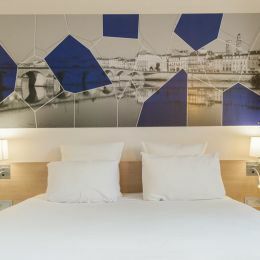 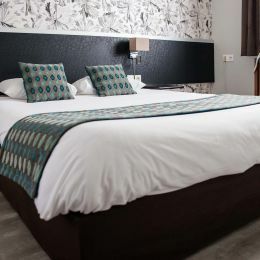 Book your room in our new hotel in Loches ! 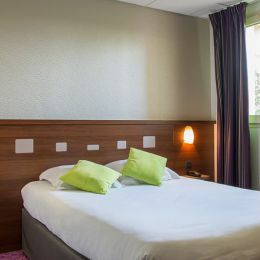 Discover our 30 room hotel in Manosque.